This morning I woke to find a terribly unsettling article. Sandra Lertzman, an executive director of an Ohio rescue group, was found dead in her car in her garage. She had been missing since last Sunday. In her house authorities found a suicide note along with prescription medication. What they found inside the running car in the garage was devastating. Next to Ms. Lertzman's body were the bodies of 30 lifeless dogs, many of them puppies. Only one puppy survived by somehow escaping the car and finding an opening in the garage to access clean air until rescue came. Many, if not all of us have been affected by depression at sometime in our lives, be it personally or through a friend or family member. It is a horrible affliction and often one sees no possible escape through that dark tunnel. 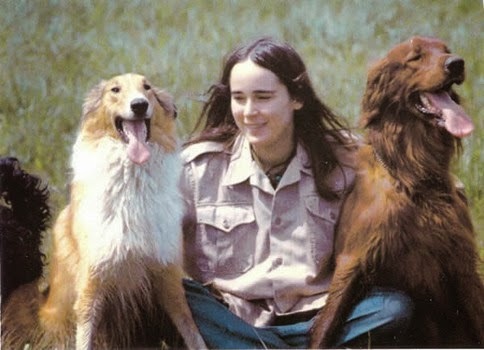 Make no mistake, Sandra Lertzman's death is a tragedy, yet what is so confounding is after spending the better part of her life nobly devoted to rescuing dogs, she felt the need to murder 31 of them when she left this earth. It was a cowardly act, one that will unfortunately outshine what could have been her incredible legacy. "You are right. She should have taken those puppies to the local shelter so they could be immediately stressed, confused and then killed. Because that would be better. Are you just full of crazy?" "How do you think they would fare at the shelter. Not well at all. So why let them end with terror when they could be with you, happy and not frightened. If you've never been there, you have no right to judge." "Better that they crossed over the Bridge with her, than on a cold table with their muzzles tied and no one to love them as they died." Others simply commented on their own rescue horror stories without offering any sympathy or condolences to Ms. Lertzman or the dogs she took with her, as apparently they saw in the article a perfect opportunity to extol nothing but their own virtue. Sandra Lertzman must have been a wonderful, incredible woman to have devoted so much time helping animals find loving homes. It is a shame her last action will, for some time, be the one for which she is most remembered. Those rescuers who can't see any fault in that action? They are the ones with blinders. Nearly every individual I know in rescue shares one key opinion, animals are equal to us and should be treated as such. To those who share this feeling let me ask you some questions. If Sandra Lertzman, or any individual with a lifelong debilitating psychological illness, ran a home for abandoned children and then seeing no positive option took it upon themselves to place those children or babies in an exhaust filled garage as one last act of "kindness", would you be spouting off on a message board about how hard the toll of working for years with abandoned children must have been on that individual? Would you be saying those children are better off than being bounced around from foster home to foster home? I didn't think so. Sandra Lertzman was a victim. A victim of an often shunned illness that not everyone can or chooses to understand. We must not forget however, that due to her final act there are now 30 other innocent victims. I feel deeply for Ms. Lertzman. I feel deeply for those dogs. I hope that soon one little survivor of this tragedy will be in a home filled with love. I just wish 30 other dogs could have had that same chance, and that Sandra Lertzman could have been the one to make it happen.